The page contains one Tag block and is displayed without any template. Now go to the Page tab. This is the mode that enables you to work with Landing Pages. Click Edit and you will see that the Home Landing Page has only one zone with the block. 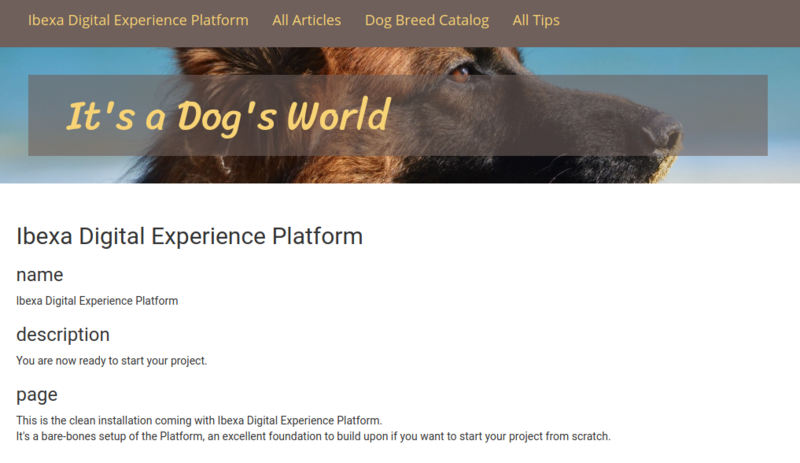 It is not possible to change the layout of a Landing Page once it has been published. 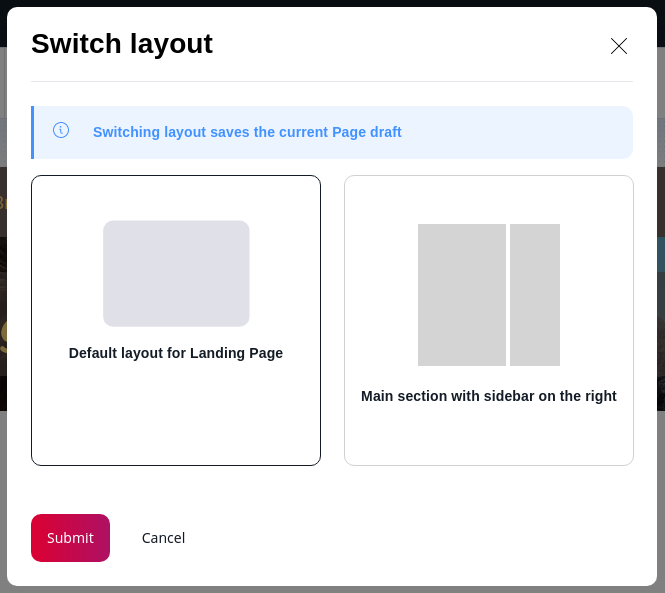 This means that after preparing the new layout you will have to create a completely new Landing Page, replace the current Home with it and delete the old one. A zone in a layout template must have the data-studio-zone attribute (lines 2 and 15). The zone container must have the data-studio-zones-container attribute (line 1) to allow dropping Content into zones. Now you can create a Landing Page with the new layout. When in Page mode, activate Create and select a Landing Page. Choose the new layout called "Right Sidebar" and name the new page "Front Page". The empty zones you defined in the template will be visible in the editor. If the new layout is not available when creating a new Landing Page, you may need to clear the cache (using php app/console cache:clear) and/or reload the app. Publish the new Landing Page. You will notice that it still looks the same as the old Home. This is because the looks of a Landing Page are controller by two separate template files, and you have only prepared one of those. The sidebar.html.twig file defines how zones are organized and how content is displayed in them. But you also need a general template file that will be used for every Landing Page, regardless of its layout. This template simply renders the page content. If there is any additional content or formatting you would like to apply to every Landing Page, it should be placed in this template. After adding this template you can check the new Landing Page. The part between menu and footer should be empty, because you have not added any content to it yet. Until the Front Page is swapped with the current Home, you can access the new page by adding /Front-Page to the address: <yourdomain>/Front-Page. Now let's replace the current Home with the new Front Page. To swap these two Content items, go to Home in the Back Office (if you are in Page mode, switch by clicking Content at the top). Open the Locations tab, click "Select Content Item" under "Content Location Swap" and select the newly created Front Page. The two pages will swap, with the new Landing Page becoming the first item in the Content tree. It will now be the first page that visitors will see. In the next step you will fill it up with content. You can now delete the previous Home page, as you don't need it anymore. Navigate to it in the Content mode and click Send to Trash in the menu on the right.